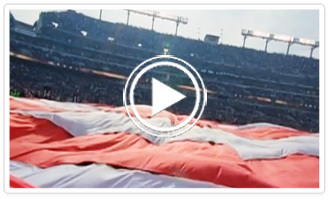 Giant Flags | Get Your Big Flag for Less! Giant Flags - When looking to add that final element of interest to your event or venue, Installation Arts can help you create a striking statement with one of our Giant Flags. Having supplied Giant Flags for many types of events from university sporting events to presidential rallies, Installation Arts has the experience and materials to create a vibrant backdrop for your own event or venue. 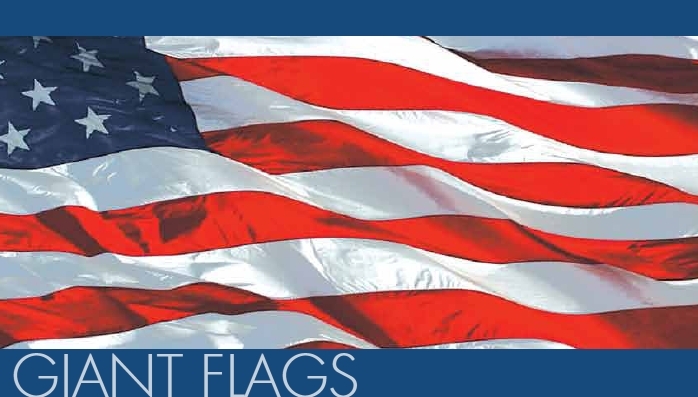 Our giant American flags are available for either rent or purchase in a variety of sizes, or let Installation Arts help you create your own custom flag either from your own design or with the help of one of our designers. Your Giant Flag is carefully inspected for quality and consistency by our production team before being shipped to you or directly to your venue. Distinguish your event or venue in the minds of your visitors with one of our amazing Giant Flags. Have questions or need expert assistance?